Fastweb has you covered with this all-inclusive college housing and apartment guide to help you through the process, from start to finish. When looking for off-campus housing, there are questions you need to be sure to ask, some things you're going to need to look out for during tours and it's always smart to learn how to become a savvy renter. If you're not sure where to begin - don't worry! Fastweb has you covered with this all-inclusive college housing and apartment guide to help you through the process, from start to finish. We've even given you areas to check off, fill in pricing and check yes or no so you can take this guide along to remember all of the information you need! Also, remember, it's never a bad idea to ask for help with the process if you need it! Follow the below lists to guide you through the process with questions, tips on what to look for during housing tours and what to look for in leasing agreements. 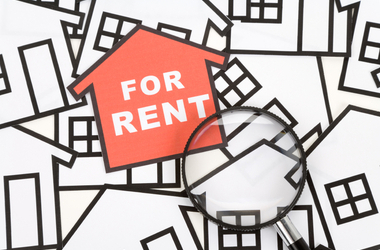 •	Are any utilities included within the rent? •	Can you pro-rate* the rent for scaled bedroom sizing? What are your initial impressions of the landlord? Does he or she seem trustworthy? What about his or her relationship with the neighbors - does it seem positive? Can you get to classes, the library and other campus locations quickly and easily when you need to? Reasonable Rent Rates in the Area Research what typical rent rates within the area are. You can research this by asking around locally, researching online at either apartment websites or rent comparison websites or by calling your local police station. •	Always trust your initial instincts! If something doesn’t seem right or you don’t trust the landlord, go with your gut. It’s usually (or, at the very least, more often than not, correct). •	See before you sign. Never sign a lease without visiting the property first. Students often regret doing so because the property is misrepresented either online, in writing or over the telephone. If for some reason you are not able to visit, have a friend or parent do so on your behalf before you sign. •	Your school may have resources, too. Some schools have lists of approved landlords, property management companies or properties that previous students have rented. Check with your college’s student affairs office to see which resources they have available. •	Consider renter's insurance. Purchasing renter's insurance can safeguard you just in case the unthinkable happens. It's certainly up to you but it's definitely worth considering! •	Read the lease. Windows/Blinds Note: Often times, cleaning is included in the rent, however, landlords do not follow the protocol unless renters ask for it! If you're paying for a service, you should be receiving it. Ensure that you're also making sure that you'll be getting a thorough cleaning and that they will be cleaning all of the above areas! • Fill out evaluation forms.